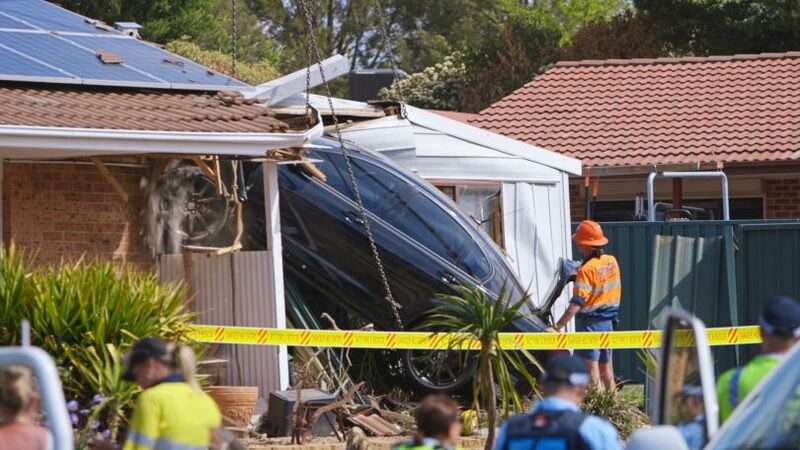 In pictures that have to be seen to be believed, a car has crashed into a house in Isabella Plains, with the front of the black vehicle wedged onto the roof of the house. 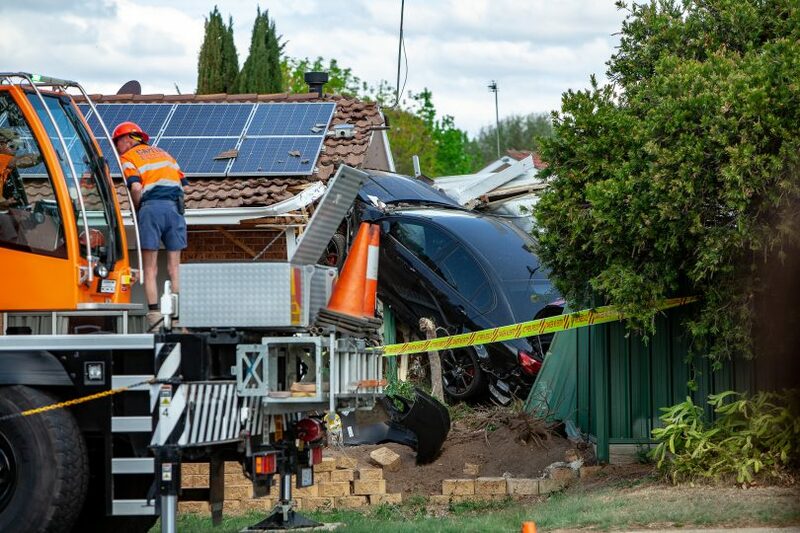 Around 12:15 pm, emergency services were called to the corner of Ellerston Avenue and Drumston Street, Isabella Plains after reports a car had crashed into a house. 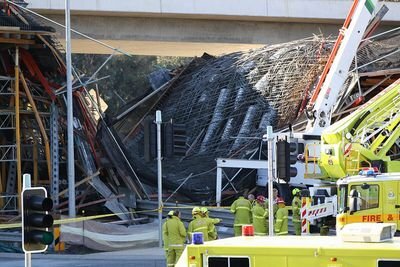 A police spokesperson said ACT Policing were attending the scene, along with ACT Ambulance Service and ACT Fire & Rescue. 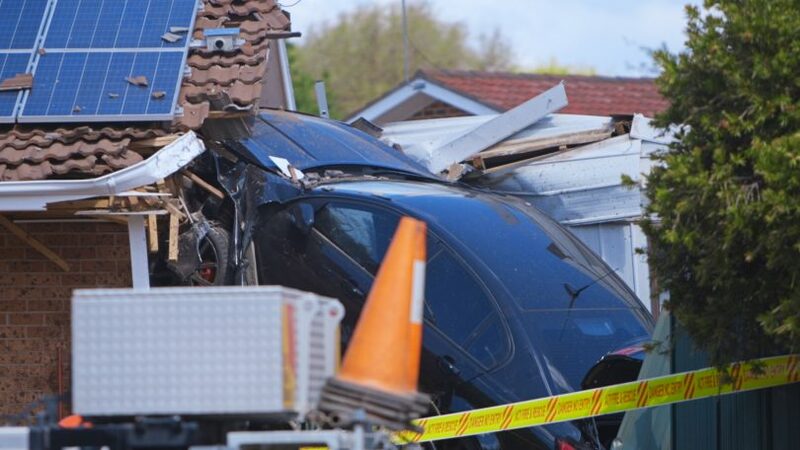 An ESA spokesperson said paramedics treated a mother and child at the scene before transporting them to hospital in a stable condition. 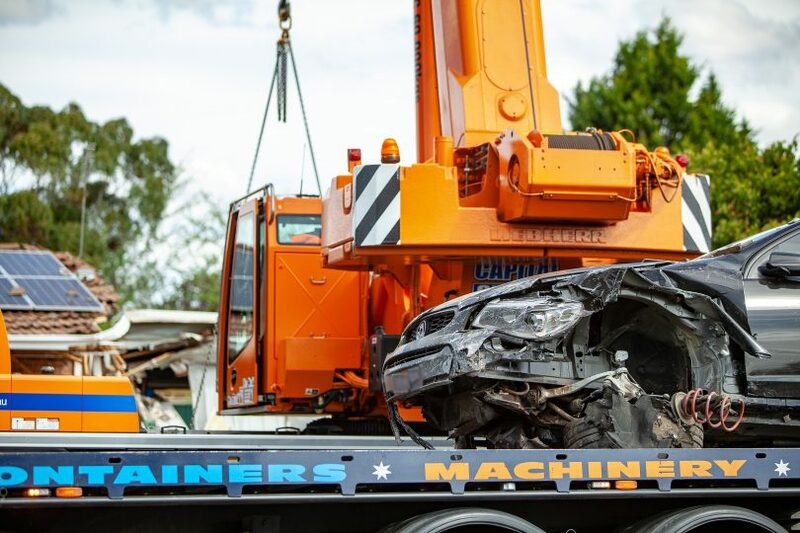 A crane was used to extract the car from the property. It is an unknown at this stage what caused the crash. I understand this occurred in a 40km/h school zone during school hours. 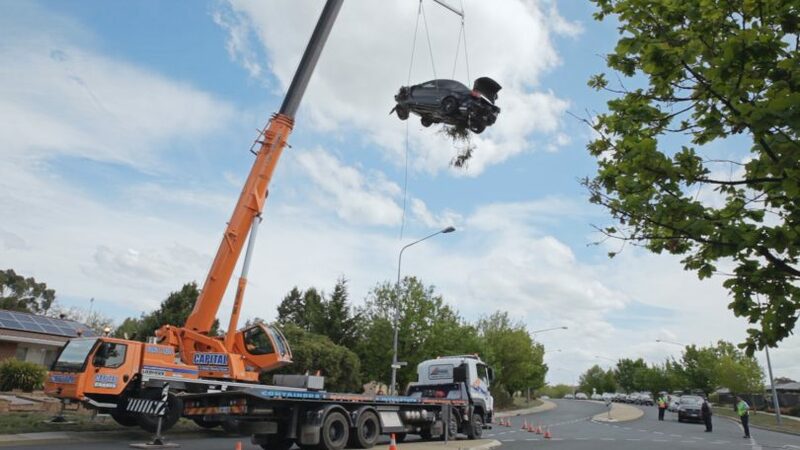 I cannot imagine the forces required to be able to get this car to launch itself in such a manner. Please drive safely people, there is too much trauma occurring at the moment.